"Every parent has the right to monitor his or her child's reading (or TV watching, or movie watching, etc. ), and if this mother doesn't want her child reading Stuck in the Middle, I completely respect that choice. But my intent in editing this book was to help children who might be experiencing some of the things the characters in the book experience--bullying, rejection, acne, depression, etc.--feel less alone. The goal was also to let kids who aren't experiencing these things, but who might be engaging in some of these negative behaviors (i.e., the bullies) read the book and think about how kids who are dealing with these problems might feel. These 'messages' are expressed through art and humor to make them more accessible and fun. I really believe there is something in Stuck in the Middle for everyone. In terms of foul language, sexual content, and teen smoking in this book, all the authors strove to present the teens and pre-teens in a realistic light. We may not like all of the decisions teenagers make, but if we sanitize their speech and behavior in our stories, our characters won't be authentic. Real teens and pre-teens sometimes use these words and say and do these things. A book like this can present a good opportunity for dialogue between children and parents. Banning the book isn't going to change children's behavior or somehow save them from the hard truths of teenage life--I find it very hard to believe that a child would hear a swear word for the very first time in the book, or that he or she would be made aware that teenagers sometimes have sexual relationships or smoke cigarettes. The only thing that can make an impact in the way children act is communication, and this book provides a platform for that. The bottom line, to me, is that it's good that this mother is aware of what her child is reading, but she should trust that other parents can make the same judgments about their children's readiness for such a book. There's a big difference in saying, 'This book isn't right for my child' and 'This book isn't right for any child.' I don't think it's up to any one individual parent to make that decision for all of the children in the students at this middle school." 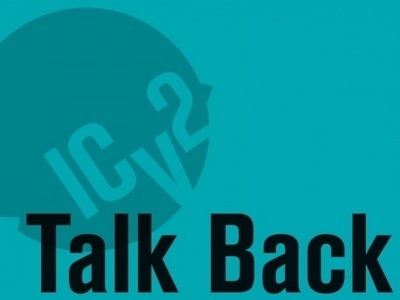 The opinions expressed in this article are solely those of the writer, and do not necessarily reflect the views of the editorial staff of ICv2.com.